Opening the evening with the film ‘Glory of the Garden’ (HD-Video, 14 min, 2009) by Marion von Osten, a slow-tempo satire of change in the art institutional structure over the last decades, this evening will focus on the bio-political aspect of an institutional operation. It will reference Katerina Seda’s practice, as well as the sociological approach in Mary Kelly, Margaret Harrison and Kay Hunt’s ‘Women and Work’ as both put emphasis on the “daily regimes” of villagers and workers. Deductively, we can draw from the daily regimes of different “institutions”, ranging from highly established ones to self-organised spaces, and groups, especially in light of Bob Black’s article ‘The Abolition of Work’ and the recent article ‘Bodies in Alliance and the Politics of the Street’ by Judith Butler whereby she criticizes Hannah Arendt’s narrow concept of what action can be. The question then of course would be: what changes do we want and what can we do to the established daily regimes? After the film screening we will launch the new issue of Casco Issues with the editors Binna Choi and Axel Wieder. 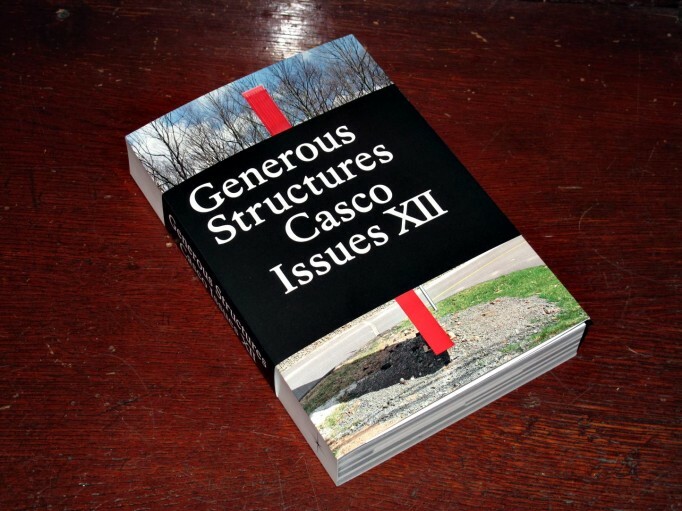 Casco Issues is a magazine published by Casco – Office for Art, Design and Theory, which explores recurring issues that emerge from Casco’s programme. It centres on artists’ and designers’ writings and other unconventional forms of publishing. The twelfth edition of Casco Issues, ’Generous Structures’, focuses on “playfulness” as a value in critical cultural practice. As a playful inquiry, it positions alternative notions of playing against the grain of neoliberal ideologies of “lifelong learning” and “work as play”. Edited by Binna Choi & Axel J. Wieder. Co-published by Casco – Office for Art, Design and Theory and Sternberg Press. Design by Julia Born and Laurenz Brunner, with Sam de Groot. This entry was posted	on Wednesday, November 16th, 2011 at 4:21 am	and is filed under events, Motto Zürich store, writing. You can follow any responses to this entry through the RSS 2.0 feed.